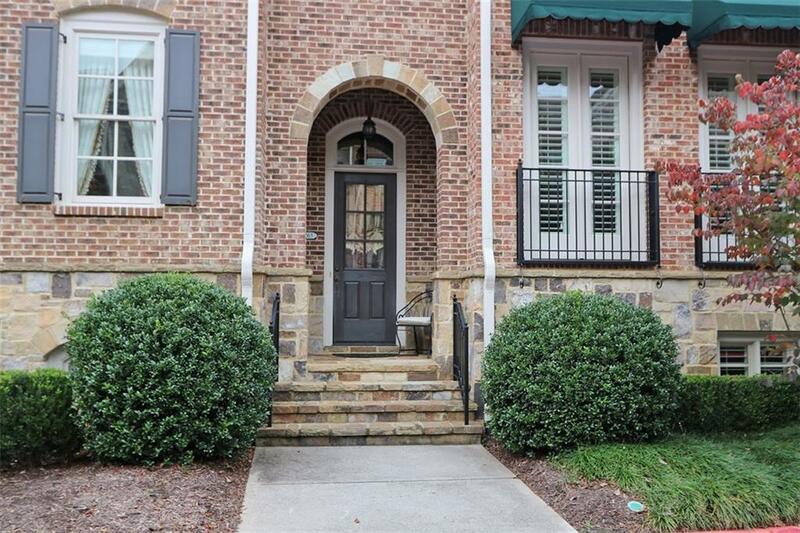 Beautiful Luxury Townhome; OPEN FLOOR PLAN; so many upgrades including elevator, moldings, light fixtures, fireplace, builtins, custom kitchen with imported cabinets and stainless steel appliances. The home has been immaculately maintained. Hardwood floors sparkle. Special rooms includes; an office space off the kitchen and a loft area on the the upper level outside master Bedroom. Other upgrades of significance is an awning over the deck, custom cabinets in laundry room. Storage is SO plentiful in this home with garage/workshop area and throughout home. COME SEE! Directions: North On I75 Turn Left On Barrett Pkwy. Go Approx. 3 Miles Turn Right On Stilesboro Rd. Go 1/2 Mile Turn Right On Stanley Rd. Go Approx 1/4 Mile And Turn Left On Tayside Crossing Across From Mount Paran Christian School. Take An Immediate Right On Winterfield Ct. Home 7th Door On Left 1465.